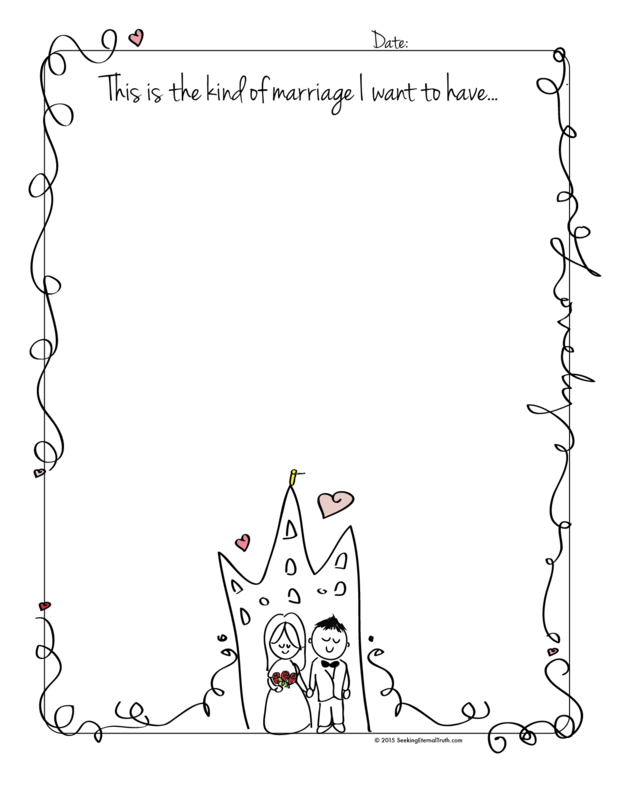 This handout was specially created for the Come follow Me lesson titled, “Why is temple marriage important” but it can be used to fit any lesson for church or home regarding the importance and sacred nature of marriage. 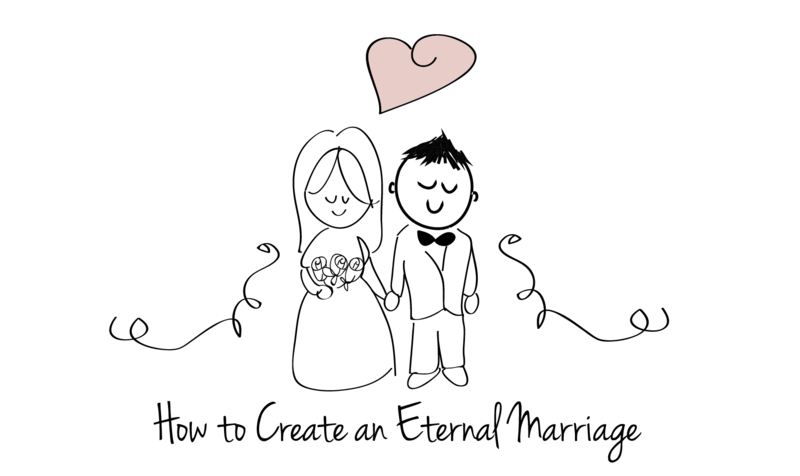 In this lesson I focused on the relationship aspect of temple marriage and how to help make that sacred bond between a lady and a gentleman, truly eternal. I created this worksheet to help myself and others define that they truly seek in their current or future marriage. A fun option is to put the folded up note in an envelope to read with future spouse-to-be or as a reminder to help create the kind or marriage you really want. Here is a fun object lesson/treat to sum it up and help your class remember this lesson on marriage and sealing. Take an Oreo© cookie (or any sandwich cookies) and explain that it can be compared to marriage because it is two cookies becoming one cookie (and because it is deeeeeelicious, like marriage.) For both of the cookies to be together or be seal to one another, there has to be a very special element in between them that can help both pieces be one whole, it is the frosting. The frosting can be compared to the Spirit. When we truly LOVE, give LOVE and receive LOVE, we invite the Spirit. It is the Spirit that truly unites us into one. The frosting is the best part after alll! Love is what makes everything possible and worth it. Real. Delicious. Love. From our Heavenly Father. We ensure our marriage will be eternal by continually choosing thoughts and actions that will sustain our marriage forever! There is enormous power and wisdom found in commitment. When we understand what it means to be sealed, we become aware that we are indeed creating an eternal commitment and bond. Though it might be frightening for our pride and skiddish ‘natural man’, our spirits long for commitment and partnership because in that mutual trust, our love deepens and we become more willing to give ALL of ourselves and we can both experience even deeper joy and take greater leaps into our own eternal progression. Though our spirits are willing, our flesh (our stubborn human side) can be reluctant (Matt 26:41). That is what we are here to work on! As we spot our own resistances in ourselves, we can let go of them with the help of the spirit. As we continue to see what we can change within us, we are granted the humble confidence to do so conditional on our desires and effort. Why commitment and promises are a big deal. When the friction of two growing and imperfect people gets greater and greater, our impulse might be to ‘jump ship’! Run away from this monster problem. There might be contention, confusion and unhappiness and all you want to do is just hide or skiddadle. This is why covenanting is so great and important. It is a promise that both of you made when you saw and felt the bigger picture. It is the bond that keeps you together, working and chugging past all the uncomfortable aspects of letting go and personal growth. The only way I can share and talk about this is because I have personally seen this happen often in my own marriage (see personal eg here.). I am glad I decided to my sealed marriage and have my agency to continually choose to uphold the sealing. It is that choice that truly makes it eternal and celestial here and after this life. It is beautiful thing. For the my lesson I had my class pay attention to the type of RELATIONSHIP this apostle had with his wife and to listen to the types of attitudes, thoughts and actions they had toward one another. I played Richard G. Scott’s, “The Eternal Blessings of Marriage, from the 6:00 Min-10:30ish min mark. How can to prepare to become a righteous mother and wife?. Previous Previous post: How do I strengthen my Testimony?